Weston Leavens has designed and built hundreds of outdoor projects over the last 25 years. During your initial FREE CONSULTATION you will benefit from his expertise as together you design and discuss your project. Our home base is the Marin/Sonoma/Bay Area counties and are available nationwide! We recommend the following resources and merchants for quality information and services related to decks and outdoor living. 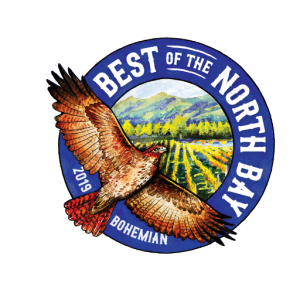 Coming Soon — Our New & Improved Outdoor Resources Guide for the North Bay! Wood plastic composite, capped composite, and PVC decking, railing, lighting, fencing products. Great decking that doesn’t fad or stain. Several locations in Sonoma County. Quality hot tubs in Marin County. Right off the 101 in Cotati. Gary Marsh Design Creates outdoor spaces that unfold the possibilities of living with nature, surrounded by beauty. For 28 years he has designed spaces that extend the home into the natural environment, and bring the outdoors inside. Reilly Design/Build Landscaping Scott Reilly has managed and maintained properties from Sausalito to Sonoma. Scott has continued to grow his reputation as a world-class landscaper up and down the North Bay. Harmony Farm Supply & Nursery They create dynamic, high quality landscapes for dynamic people. The Garden Route For better growing from the ground up. Geared for Growing Landscape Design is founded on a commitment to design expertise, quality workmanship, and ongoing relationships. Heritage Salvage Heritage Salvage is an eco-friendly design, build and supply company based in Petaluma, California. One hundred percent of Heritage Salvage’s wood products are sourced from windfalls or existing structures: chicken shacks, barns, houses, tanks and other structures that were either in danger, abandoned or no longer being used. 75% of Heritage Salvage wood is old growth redwood.